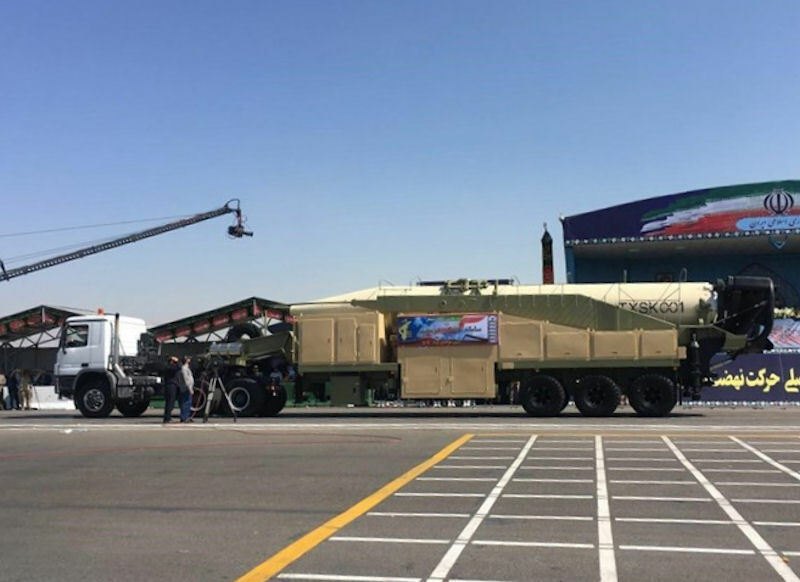 State media says Iran successfully tested a new, medium-range, ballistic missile that was on display in a military parade Friday 22 September 2017. 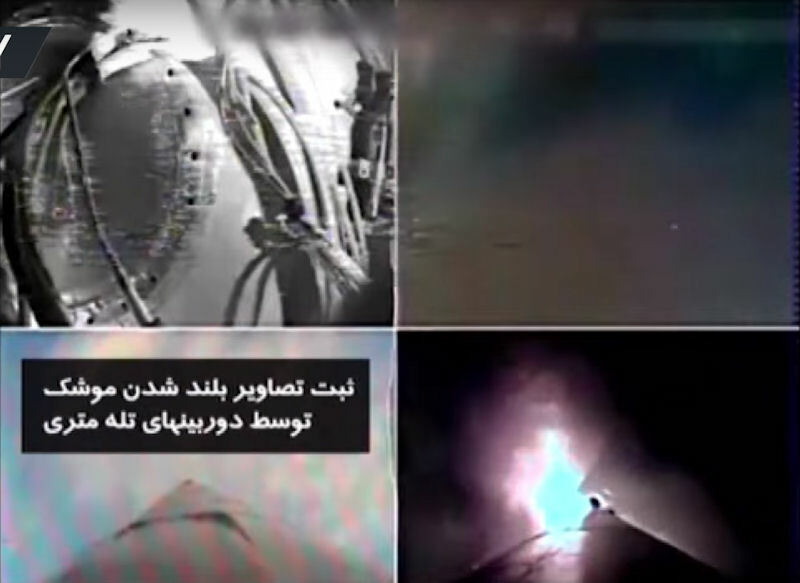 State television aired footage of the test and in-flight video from the nose cone on Saturday 23 September 2017. 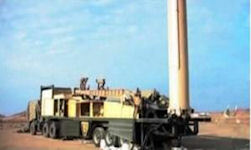 It was not clear, however, when and where the test launch of the Khorramshahr / Khoramshahr missile was conducted. Reporting by Fox News found that the test was a failed launch in January 2017, and that more recent reports of a new test were incorrect. 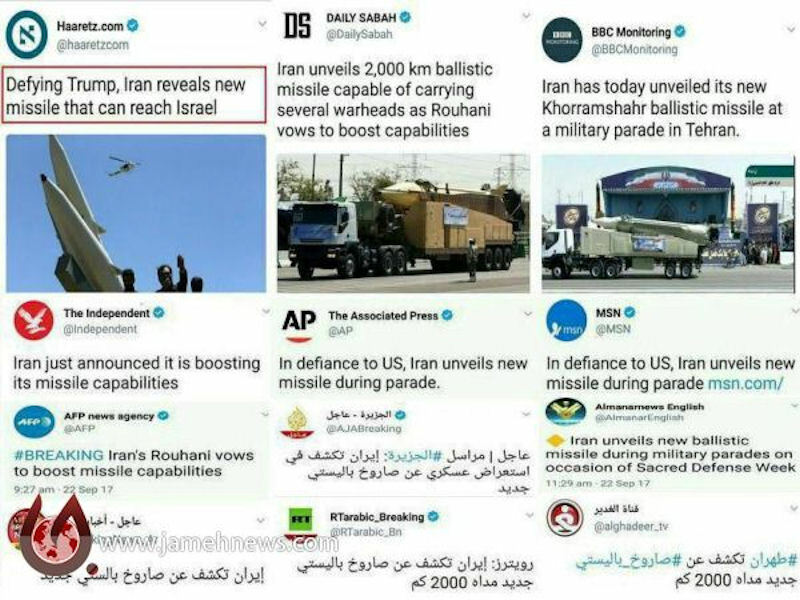 CNN subsequently reported: "US intelligence radars and sensors "picked up no indication" of an Iranian ballistic missile launch in the days surrounding a reported test, according to a Trump administration official familiar with the latest US assessment. Iranian reports that the nation tested a new ballistic missile so far does not appear to be true, the official said, adding: 'As far as we can see, it did not happen.'" 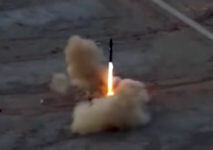 The missile has a range of 2,000 kilometers. 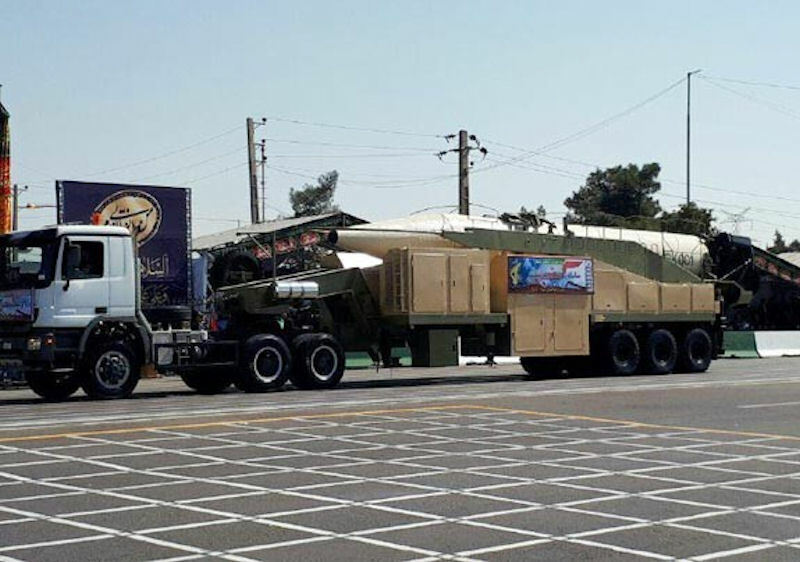 The Islamic Republic’s domestically manufactured Khorramshahr ballistic missile is said to be capable of carrying multiple warheads. Some Iranina reprots claimed it has also become smaller in size and more tactical compared to the country’s previous ballistic missiles. 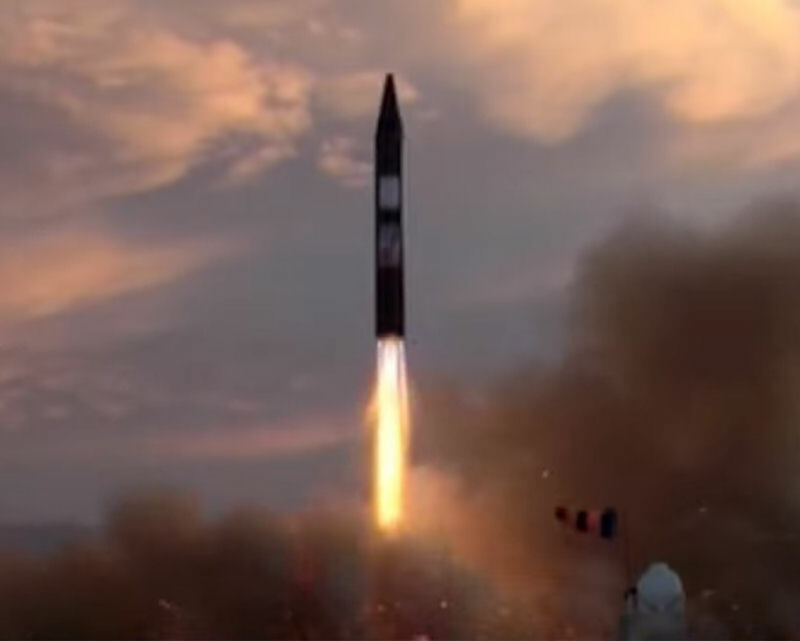 Not yet announced was whether the missile was either solid or liquid type, but in any case, given the higher diameter of the missile, it is a completely new design. In fact, it is clear from the largely smoke-less exhaust plume that it is a liquid propellant rocket. 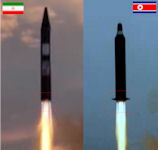 More to teh point, a close examination of the missile in flight makes it evident that it is using the same vernier engines seen on the North Korean KN-10 Musudan. The missile, given the first stage propulsion's brightness, is stabilized only by the "thrust vector control" system, as clearly seen on the North Korean Musudan missile, though Musudan also used lattice fins. There are several superficial differences - the Iranian missile is longer, the warhead reenty vehicles are different, and the North Korean missile has crate fins. But the essential component - the first stage propulsion system - is clearly the same. The superficial differences may represent divergent requirements or design philosopies, or may be the normal varitions seen in prototypes. Or they may be non-functioning deceptive elements. 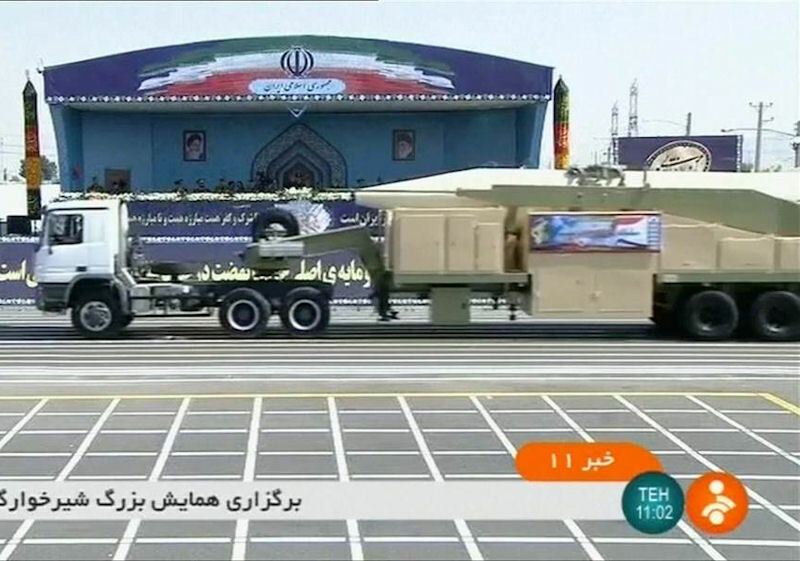 Khorramshahr ballistic missile, which belongs to the Aerospace Force of the Islamic Revolution Guard Corps (IRGC), was unveiled in a military parade ceremony on the 37th anniversary of the Iran-Iraq war, known as the 'Sacred Defense' in Iran. 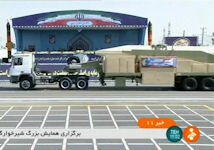 In the ceremony also missile systems, the IRGC air defense command equipment, including air defense systems the third Khordad and Tabas, Bashir radar system, Saeqeh electronic warfare system, Raad-1, and the medium and low altitude TOR-M1 were also put on display. The main difference between the Khoramshahr missile and other Iranian ballistic missiles is the removal of stabilizing fins from the end of the body. 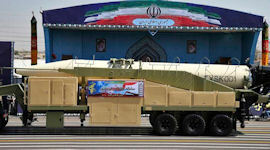 These fins, which are seen in the form of vertical wing trapezoid in all ballistic missiles of the Shahab family, Ghadr and Sejil, and even the satellites of the Simorgh types, play an important role in the stability of the rocket. Removing the fins has the benefits of reducing weight and radar reflection, making it easier to store and store, transport and load on the launcher. This feature is due to a higher level of missile stability and control technology, due to the driven factors of the missile, including the precise deployment of the missile to the launcher, targeting and guidance systems. 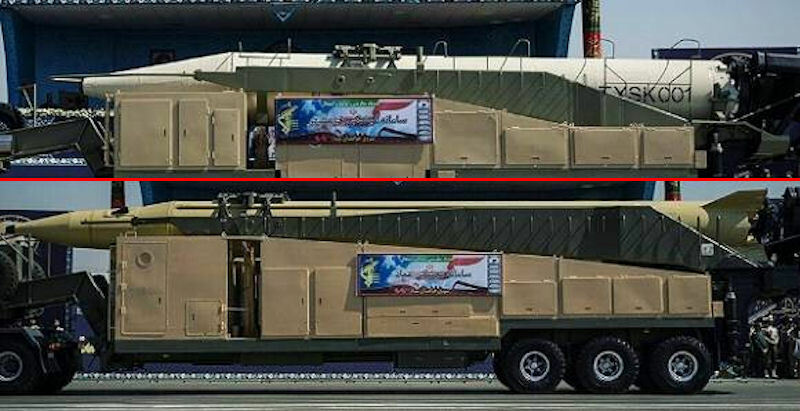 It seems that the missile will completely replace the Shahab-2, as the quadrant and the diameter of the two are the same, only slightly increasing the length and 100 kilograms of mass increase (1.65 percent), to 300 Kilometers longer range. The missile also reaches a maximum height of 126 km in its highest range. 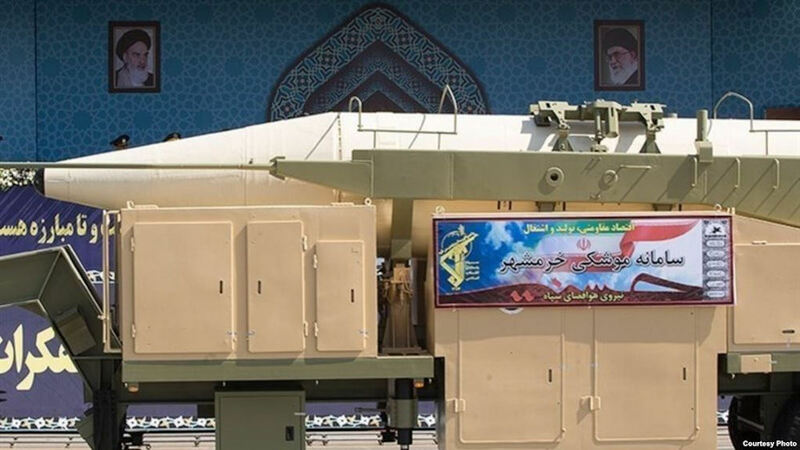 In fact, with the mass production and production of a missile, a missile with dimensions of Shahab-1 and II has been created, but with a much greater range and the ability to benefit from new and varied warheads. 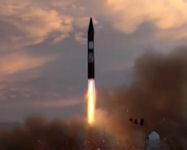 The weight of missile warhead by some sources is 645 kg, and the latest news on the country's missile developments is the ability to carry a variety of warheads. The new rocket also has the ability to be fired from underground silos. 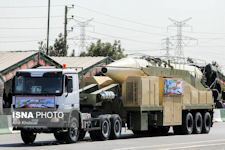 The Khorramshahr missile, known for its testing in 2016, was published in some informal media with a diameter of more than 1.5 meters or more and a length of Shahab-3 rocket, about 15 meters in a parade. According to the announcement, the missile had reached a range of 2000 kilometers and can carry single or multiple warheads up to 1,800 kilograms. The warhead seen in the Khorramshahr missile is of a simple conical type with a non-sharp tip with low curvature to reduce the heat-damaging effects of high flying speeds and hypersonics. But it can be expected that other warheads would be installed, such as those on Sajjil and Qadr types. Based on the apparent shape of the Khorramshahr cap at the nose, it was estimated by oen source that the speed of the rocket might be more than 15 Mach. 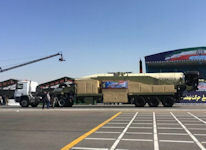 Khorramshahr missile is the first candidate for use in a sub-launcher in the future, due to its structure and the lack of need for a fins and a shorter length than the Sajil and Emad missiles. The detachable warhead can also be designed with the experience of the Emad rocket, which is said to have a multi-meter error in the 2000 km range, with guidance to the end of the track, although aerodynamic control equipment is not visible on the warhead of the unveiled Khorramshahr. 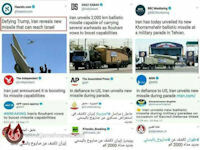 Iran's President Hassan Rouhani in a speech at the ceremony, attended by senior military officials, emphasized that Iran's arms are aimed at defense of the country and of regional nations against aggression of major powers and terrorism. Rouhani vowed to strengthen the country’s missile capabilities, state media reported. The statement comes amid heightened tensions between Tehran and Washington after Donald Trump's speech at the UN General Assembly. The Iranian leader addressed the military on Friday, during a parade marking the start of Muharram, the first month of the Islamic lunar calendar. Rouhani said that the country will boost its military capabilities, from missiles to ground, air and sea forces. 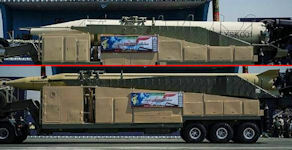 The military will be strengthened to the extent that Iran considers necessary, he added. "We will increase our military power as a deterrent. 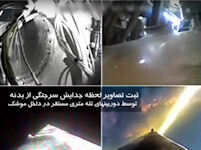 We will strengthen our missile capabilities...We will not seek permission from anyone to defend our country," Rouhani said, as cited by the Irna news agency. The president stressed the defensive nature of their weapons. Their purpose is to defend the country and the region from “the invasion of the great powers” and from terrorism, he said. He emphasized that, “like it or not,” Tehran will defend “the oppressed people” of Yemen, Syria and Palestine. In his first speech at the UN on Tuesday, US President Donald Trump called Iran a “depleted rogue state whose chief exports are violence, bloodshed, and chaos,” accusing it of funding terrorists and undermining the stability of the entire Middle East. “The foolish, very ugly, and ignoble speech of the US president, with its gangster and cowboy language full of sheer lies, is rooted in their anger, frustration, and light-headedness,” the Supreme Leader of Iran, Ayatollah Ali Khamenei, said in Tehran. The Iraqis invaded Iran on September 22, 1980. Iraq committed 7 of its 12 divisions to the invasion, 5 of them entering Khuzestan. The objective of the latter was to seize four cities - Khoramshahr, Abadan, Dezful and Ahvaz. This would enable the Iraqis to cut off the main reinforcement route to the province from Tehran, and would deliver the Shatt Al Arab into their hands. The Iraqis received their first serious opposition when they attempted to take Khoramshahr. The city, defended by several thousand Pasdaran and regular army troops, put up a stiff resistance. Saddam ordered his commandos into Khoramshahr to clear it, which was accomplished by 24 October 1980. The Iranian defenders, outnumbered 4 to 1, held the city for 26 days. Although the Iranian defenders eventually lost the city, its defense allowed the remaining Iranian forces time to organize and redeploy. Furthermore, the winter rains that followed the battle turned much of the region into a sea of mud and largely halted further Iraqi efforts. The Iraqi army’s offensive thrusts into Iran lost momentum as a result of the defense of Khorramshahr. By the spring of 1982 the Iranians had turned the war around. They lifted the siege of Abadan and shortly thereafter recaptured Khoramshahr. All this was accomplished in three months of quite hard fighting during which heavy casualties were reported on both sides. After the fall of Khoramshahr in 1982, Iran modified the tactic of the human wave attack. At Khoramshahr and during its earlier campaigns in Khuzestan, the Iranians had infiltrated Iraqi lines prior to making their wild rushes. The one-two-punch effect of this maneuver disoriented the Iraqis. But later, when they stormed Basrah, the Iranians dispensed with the infiltration phase, and concentrated solely on the headlong charge. This was much easier for the Iraqis to handle.